It's time! Time for my first reveal of 2016. And I couldn't be more excited. This one has been in the works for awhile, but the holidays took over and I couldn't make time to get it photographed. Now that the time has finally presented itself, I don't think my marginal photography skills really do this space justice. But I won't let that minor detail keep me from sharing this incredible space we completed for an equally incredible family. You may remember this mood board, I shared it sometime in late 2015. And teased you with these peeks at the empty space and some of our initial selections. A new living room. 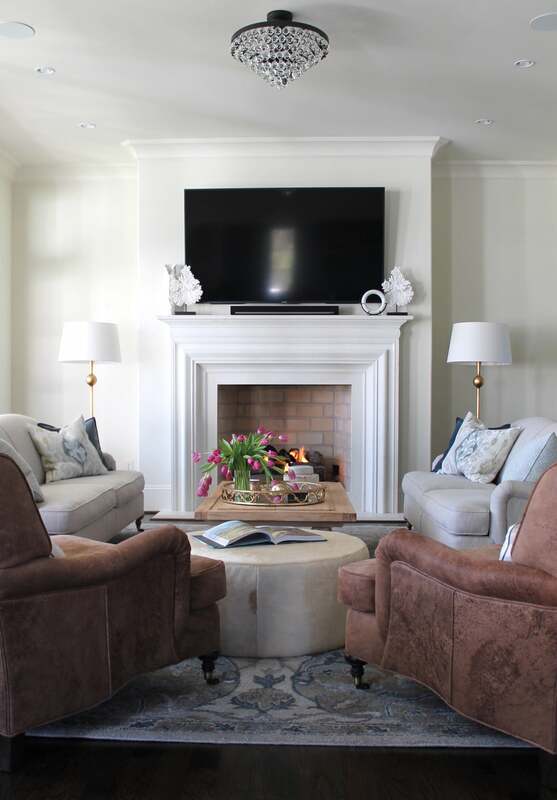 Our goal was to create a casually elegant space that works equally well for family lounging as it does for entertaining. I gotta say, I think we achieved it. This could, quite possibly, be my favorite project to date. Simple, beautiful and elegant without being stuffy and boring. A special room for a special family in their new home. Just wait until you see the 2nd master! Coming up soon.